A graduate of the Middle East Technical University’s Computer Engineering Department, Hakan Aran holds a master’s degree in Business Administration at Başkent University. Aran started his career as a trainee software specialist at the IT Department of Türkiye İş Bankası in 1990. He became Deputy Manager in 1999, Group Manager in 2002 and Software Development Manager in 2005, before being promoted as Deputy General Manager on 17 July 2008. He has been working as the Chairman of Softtech since 23 March 2011. Hakan Aran has postgraduate thesis in management on “Process Management and Information Technologies Model that supports Customer-Oriented Banking Approach. A graduate of the Middle East Technical University’s (METU) Computer Engineering Department, Sabri Gökmenler completed his master’s degree also in Computer Engineering department of METU. A graduate of the Middle East Technical University’s (METU) Computer Engineering Department, Sabri Gökmenler completed his master’s degree also in Computer Engineering department of METU. He was appointed as Deputy Manager in 2000, and Group Manager in 2004 in affiliate management. Gökmenler who continued his career in affiliates until 2004 became Türkiye İş Bankası Information Technologies Architecture and Security Manager in 2008 before being promoted as Information Technologies Manager in 2012. 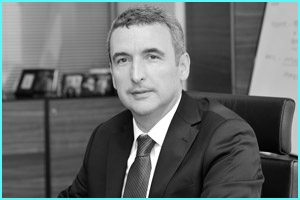 Sabri Gökmenler has been working as Vice Chairman at Softtech since 12 March 2013. A graduate of the Middle East Technical University’s (METU) Computer Engineering Department, Sabri Gökmenler completed his master’s degree also in Computer Engineering department of METU. A graduate of the Middle East Technical University’s (METU) Computer Engineering Department, Sabri Gökmenler completed his master’s degree also in Computer Engineering department of METU. He was appointed as Deputy Manager in 2000, and Group Manager in 2004 in affiliate management. Gökmenler who continued his career in affiliates until 2004 became Türkiye İş Bankası Information Technologies Architecture and Security Manager in 2008 before being promoted as Information Technologies Manager in 2012. Sabri Gökmenler has been working as Vice Chairman at Softtech since 12 March 2013..
A graduate of Istanbul Technical University’s Mechanical Engineering Department, Canan Mutlu completed her master’s degree in management in English from Istanbul Technical University’s Social Sciences Institute in 2000. She worked as an engineer in the leading companies of the heating and ventilating industry before entering in the finance industry. 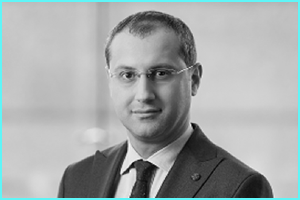 Mutlu stepped in the finance industry as Assistant Specialist at the Subsidiaries Department of Türkiye İş Bankası and became Deputy Manager at the Subsidiaries Department of İşbank in 2009, and Unit Manager in 2016. 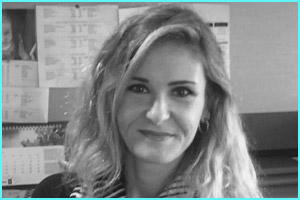 Canan Mutlu has been working as a board member at Softtech since 27 November 2015. 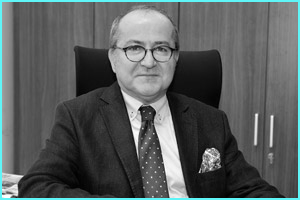 A graduate of the Middle East Technical University’s Electrical and Electronical Engineer Department, İ. Hakkı Akşener started his career as Electrical Engineer at the Construction and Real Estate Department of Türkiye İş Bankası in 1985. He assumed the posts of Deputy Manager at Information Technologies department in 1993, and Group Manager in the same department in 1998. He served as the General Manager of İşNet in 2003. He was appointed as consultant at the General Management of Türkiye İş Bankası on 25 February 2010. 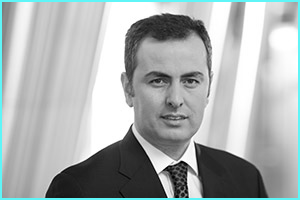 İ.Hakkı Akşener has been working as a board member at Softtech since 26 March 2014. A graduate of the Middle East Technical University Industrial Engineering Department, H. Mete Güneş completed his master’s degree in İstanbul Bilgi University Financial Economics. He started his career as an auditor in Isbank at the Board of Inspectors in 2000. He held positions as Assistant Manager at the Board of Project and Change Management (2008-2009), in Digital Channels Strategy Division (2009-2012) and in Digital Banking Division (2012-2013), Deputy Head at the Board of Internal Auditors (2013-2016) and Head in Retail Loans and Card Operations Division (2016-2017). Güneş leads Digital Banking Division as the Head of the department since January 2018 and he is a member of Digital Transformation Program Steering Committee. A graduate of the Middle East Technical University’s Management Department, Serkan Uğraş Kaygalak started his career as a Trainee Assistant Inspector at Türkiye İş Bankası Board of Inspection in 1997. He then worked as Deputry Manager at Funds Management Department in 2006 and as Tarsus Branch Manager in 2008. Kaygalak became Deputy Chairman of the Board of Inspection in 2010 before he was appointed as the Manager of the Card Payment Systems on 29 April 2013. He has been working as a board member at Softtech since 24 March 2015. 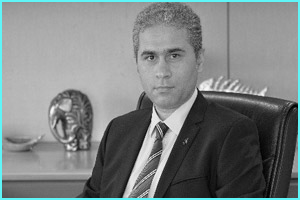 OA graduate of the Middle East Technical University’s Management Department, Serkan Uğraş Kaygalak started his career as a Trainee Assistant Inspector at Türkiye İş Bankası Board of Inspection in 1997. He then worked as Deputry Manager at Funds Management Department in 2006 and as Tarsus Branch Manager in 2008. Kaygalak became Deputy Chairman of the Board of Inspection in 2010 before he was appointed as the Manager of the Card Payment Systems on 29 April 2013. He has been working as a board member at Softtech since 24 March 2015. A graduate of Bosporus University’s Industrial Engineering Department, Sezgin Lüle started working as Organization and Method Assistant Specialist at our Organizations Department in 1998. He was appointed as Assistant Inspector at the Board of Inspection in 1999. He completed the post-graduate program on the subject of International Banking and Finance at the University of Birmingham in 2004. Lüle worked at the Project and Change Management as Deputy Manager and Unit Manager between 2008 and 2011. Lüle was appointed to Corporate Architecture Department in 2011 with the same title before he was promoted as the Unit Manager at Corporate Architecture Department on 27 April 2017. 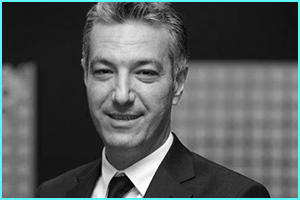 He was elected as a board member at İş Portföy on 14 May 2014, and at Softtech on 7 June 2017.